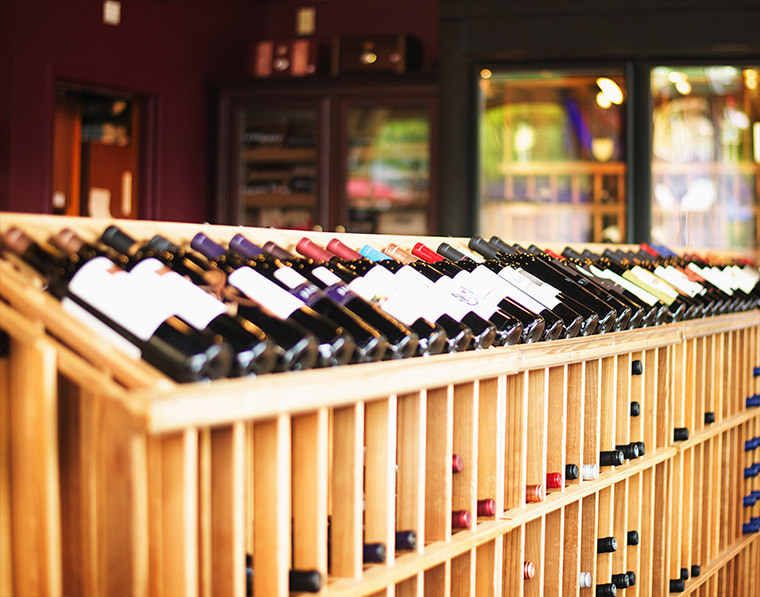 Discover South Charlotte’s newest wine destination at the Wine Shop at Rivergate. 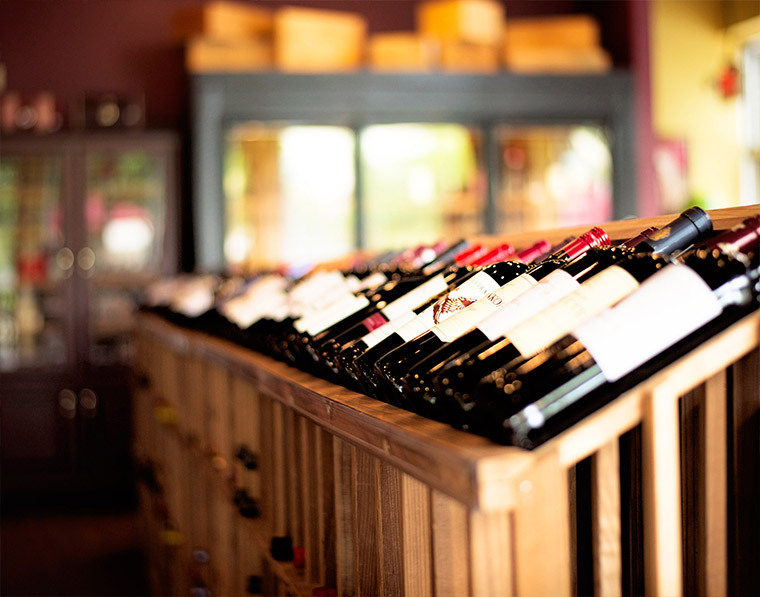 In our wine racks you will find a vast selection of more than 1000 different wines from the four corners of the globe, ranging from undiscovered bargains to impossible-to-find Trophy Cult Wines. Looking for an exceptional wine to complement your next meal or celebration? Our friendly and experienced staff will help you to find that ideal bottle. We encourage you to “try before you buy” with unique tastings from a variety of over 50 different wines. We are also happy to accommodate your special order requests. 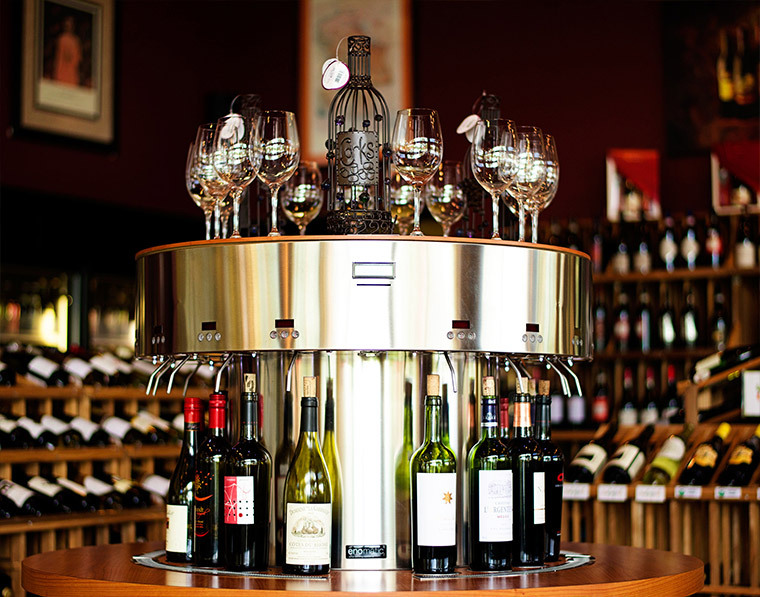 Free wine tastings, wine dinners, and tutored wine events are all part of the fun at The Wine Shop at Rivergate. We invite you to visit our Calendar and join us at our next event. For Microbrew Beer Fans, our 25 foot beer cooler is stocked full of more than 200 different varieties of unique beers. Whether your taste runs from American Lager to Australian Stout, you will find your favorite imports and domestic beer here at The Wine Shop in Charlotte. And if you need a break from the over-whelming selection, just grab a cold one and head to the Wine Bar for a quick refresher. The Wine Shop at Rivergate also offers Charlotte’s best selection of fine cigars. Our custom built humidor is fully stocked, offering the highest quality cigars from all over the world. We carry all of your favorites, and some undiscovered gems as well, including Ashton, Macanudo, Montecristo, Oliva, Onxy, Romeo Y Julieta, Davidoff, Cohiba, Partagas, Punch, Cao, Arturo Fuente, Padron and many more. We invite you to visit our retail Wine, Beer & Cigar Shop today.